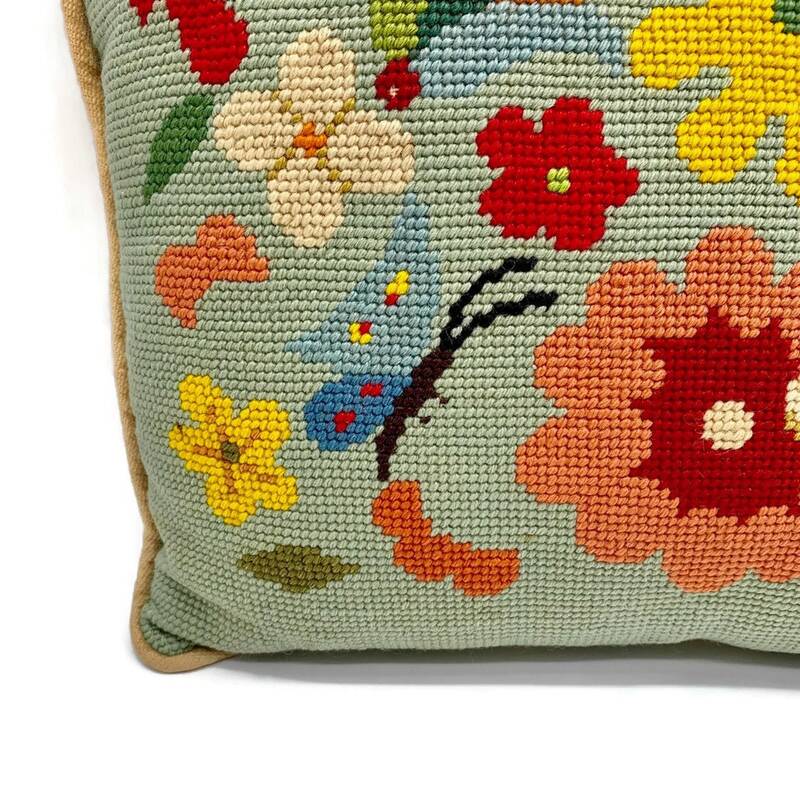 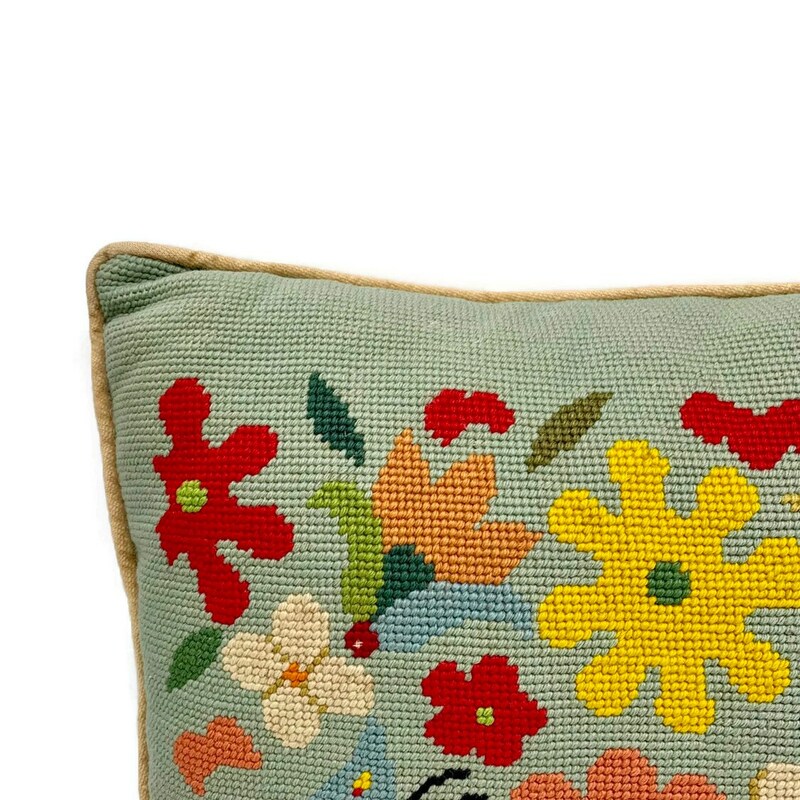 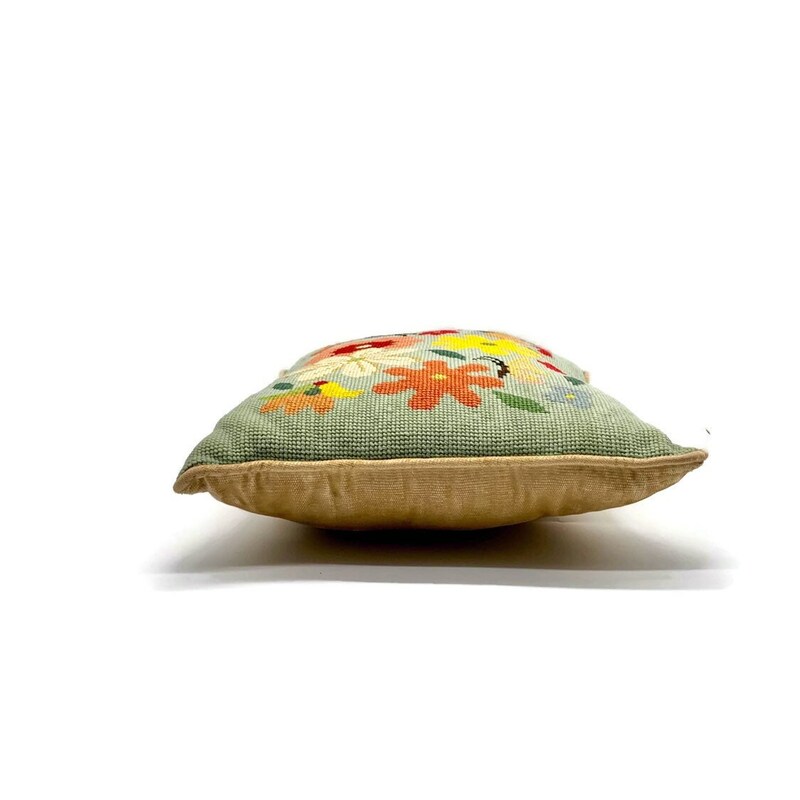 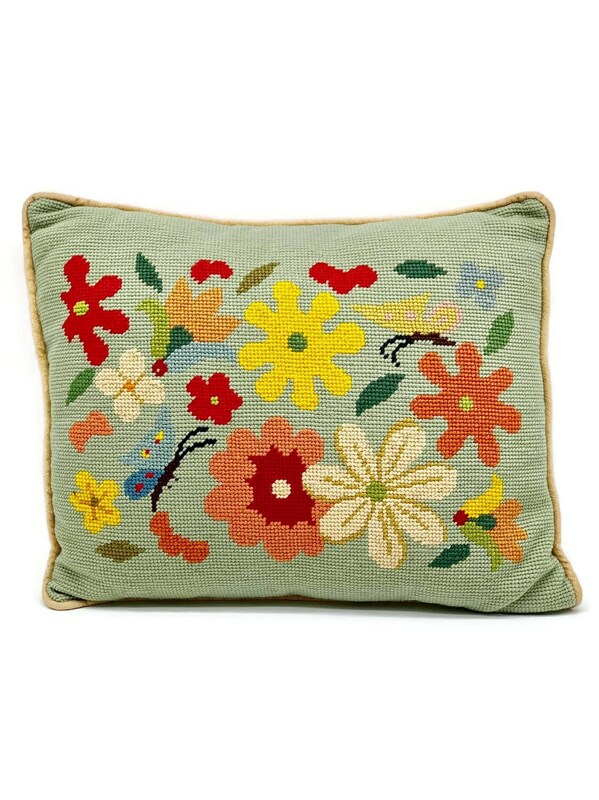 Super cute needlepoint pillow in muted aqua, coral, scarlet red, gold, ivory, blue and greens. 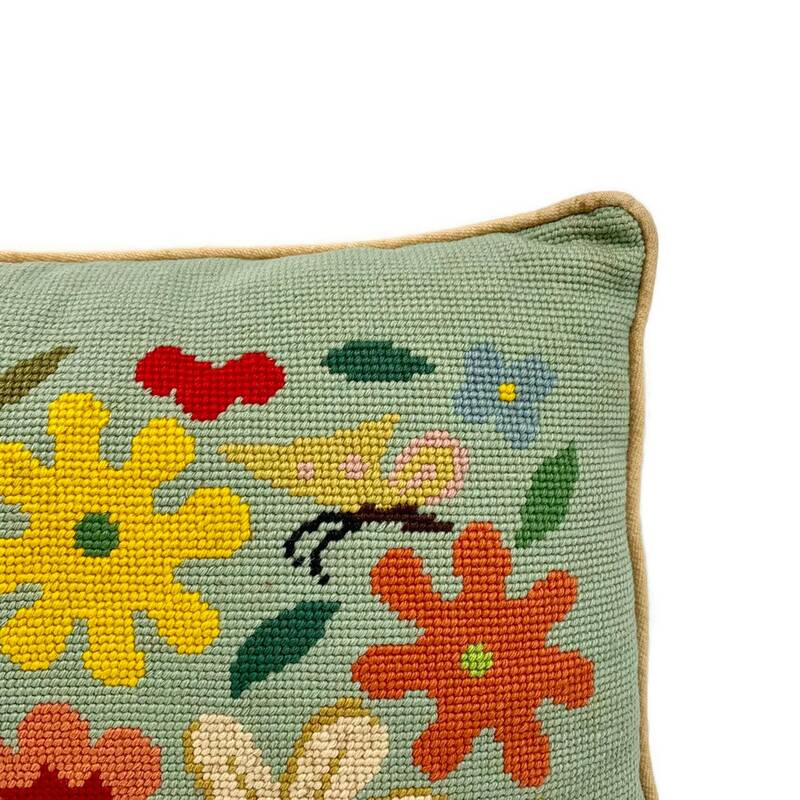 Butterflies and playful flowers have been hand stitched. 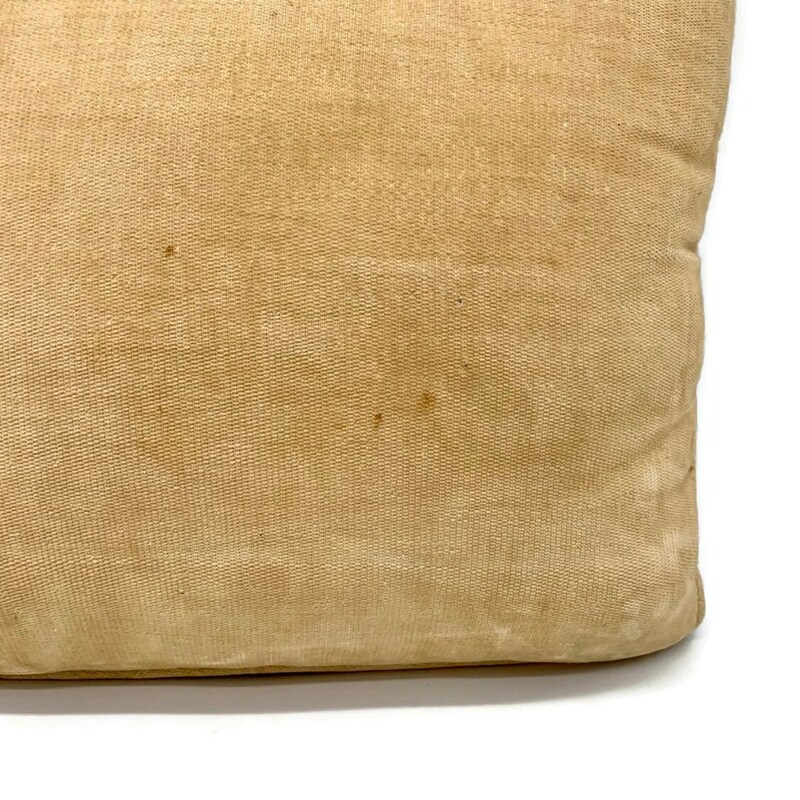 There are some minor spots on bottom left corner and some on the back (shown in the above pictures). 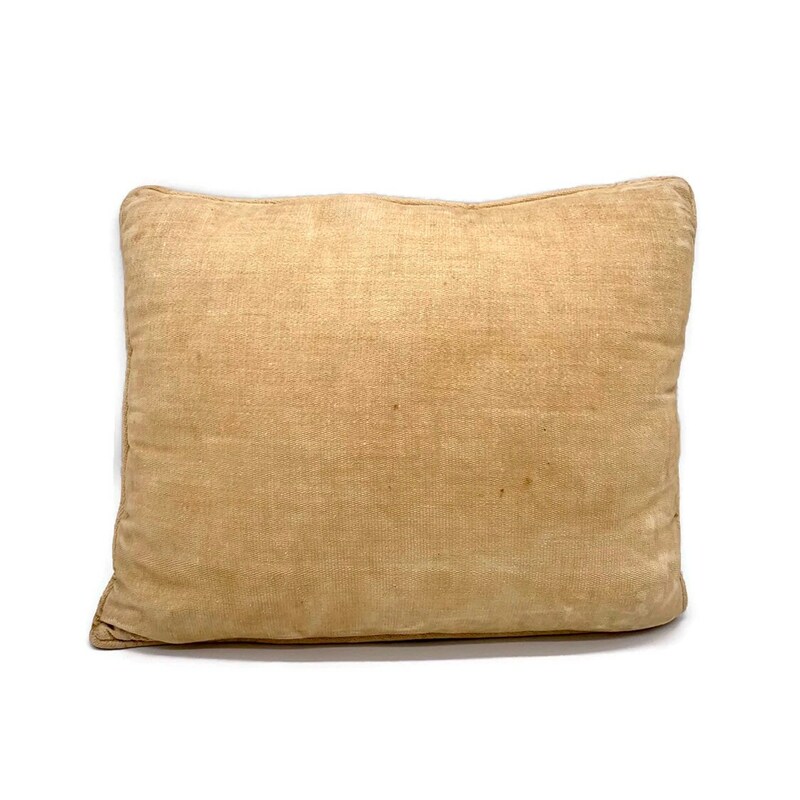 Pillow has no opening but does have cording and a khaki colored backside. 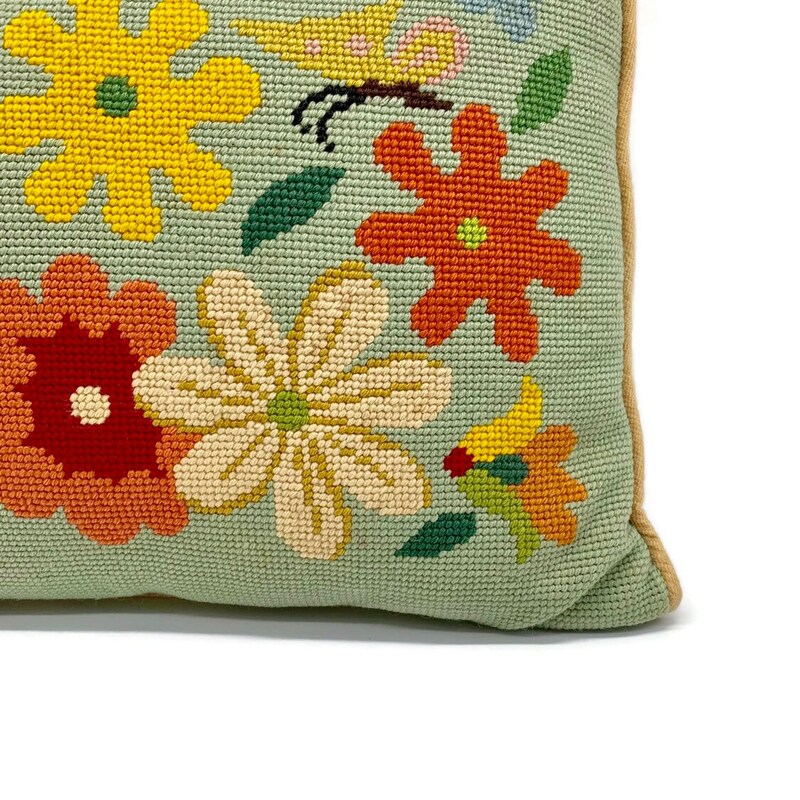 + Weighs 1 lb., 7 oz.